Robert is a fun, exciting and well put together teacher. I have been teaching myself how to install tinting over the years and always felt I was missing perfection. After his teaching tips and techniques I now feel very confident I have the tools to reach my goals. 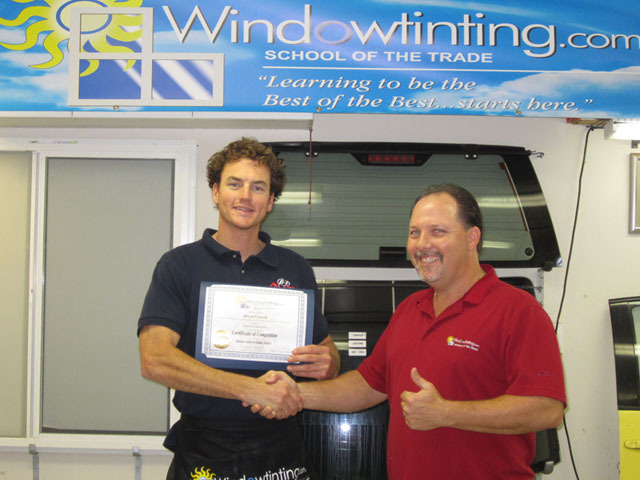 After attending the 3-Day Intermediate course, I am excited to return and apply these new skills and become the GREAT window tinter I always wanted to be!